The number of biologics in development continue to increase at a rate and contract manufacturing organizations (CMOs) are responding to this rapid rise in business. With this growing market breeding new competition each year, the CMO outsourcing options available to drug sponsors can be overwhelming. Finding the CMO that is right for your company and project can be a daunting task, particularly if this is your first time outsourcing. Some companies, especially those with limited experience in the biopharmaceutical industry, may find themselves unprepared when it comes to beginning the search. Without careful consideration of what are the most important features you need from a CMO and preparing for what the CMO needs from you, the result can be a mismatch between the CMO’s core competencies and the sponsor’s expectations. In the case of technology transfer of an R&D or GMP manufacturing process, if insufficient information is provided on the processes required for manufacturing or the anticipated scale, the CMO will have difficulty assessing the scope of the project,This can ultimately affect their ability to give accurate timelines and contract information. When the sponsor gathers specific information before contacting the CMO, it allows for a more productive and accurate technical discussion between the CMO and sponsor and increases the success rate of the program. With this knowledge in hand, the CMO can then accurately scope the project and potential start date, based on whether they have the capabilities available for your project’s specific needs. What is your timeline? Along with scale, the CMO will want to know your target dates for starting the project and when you need to have the final product. Often, sponsors taking their first drug from a pre-clinical to the clinical trial stage may not have a full understanding of all the factors required for cGMP manufacturing and release of final product for clinical trial. Feedback from the CMO and an explanation of the steps required for the project scope of work will be useful for the drug sponsor to assess if the proposed timeline is achievable. How scalable is your current process, and is it ready for manufacturing? Culture processing, product extraction and clarification, purification, and formulation strategies that are developed at the R&D level may not be scalable or suitable for manufacturing scale production. For example, this can include cell lysis with detergent, buffer exchange using dialysis, some types of affinity chromatography, and size exclusion chromatography. Processes for buffer exchange steps, concentration, and final formulation requiring the use of tangential flow filtration (TFF) at the manufacturing scale may not have been optimized since they are often not used for scale process development. Other factors, including temperature control of in-process steps, also need to be considered, as the large scale manufacturing processes may only be feasible at ambient temperature. 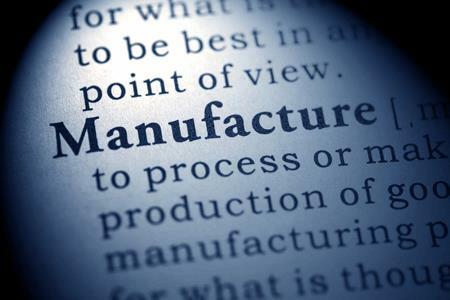 Hold steps and product stability are also important factors when assessing the overall manufacturing process and the readiness for manufacturing. Are the yields sufficient enough that cell culture or fermentation conditions do not require further optimization? Do the current chromatography steps remove contaminants necessary to meet dug product release specifications? If the product has not been previously manufactured and a CMO is selected that does not have a process development group, the sponsor may incur considerable risk. If something unexpected occurs with the biological product during scale-up, the CMO may not have the capabilities to investigate and correct the issue. Are the analytical methods for in-process testing and final product release adequately developed? If special analytical methods are required for in-process testing and final release of the product at the CMO, these methods will also require technology transfer. It is important to communicate any special equipment requirements to the CMO and have a clear understanding of what analytical expertise is required. Specifically, analytical assays should have the required sensitivity and reproducibility for the intended purpose. If the quantitative results need to meet certain specifications, then assay qualification or validation will be required in a clinical-stage appropriate manner. On the other hand, the assay may be “for information only” (FIO) and /or give qualitative results that might, for instance, be used in determining which fractions eluted from a chromatography column contain the desired product. If this is the case, then technology transfer of the assay protocol for drafting a customer-specific SOP may be sufficient. If the analytical methods do not meet these qualifications, analytical development may be required. One needs to decide if analytical development will be performed by the CMO or by the sponsor’s analytical team. If the results from analytical tests for in-process testing are gating and results meeting specific criteria are required prior to proceeding with the next unit operation, it should be considered how this will affect critical hold times and if there are less technical analytical tests that can be substituted. For example, high-performance liquid chromatography (HPLC) may have been used at the R&D and pilot stages of process development, but spectrophotometer absorbance readings might be adequate and faster at the GMP scale. How many partners are you willing to work with? The best answer to this question would be only one in order to avoid communication or timeline management hiccupsbut that is not always practical. Adding multiple partners to a project means managing timelines between each company and ensuring clear and consistent communication from beginning to end. Both of these tasks can be very challenging in a multi-partner structure. To minimize using multiple partners for your project, ensure the CMO you select has many or all of the competencies necessary, such as cell banking; process development; formulation; and analytical method development, qualification and release testing in addition to GMP drug substance and drug product manufacturing capabilities. It is also important to consider scale-up needs based on projected additional clinical trials. You should be prepared to discuss the projected scale-up timeline with the CMO. Based on their capabilities, they might be the appropriate CMO only for early stage but not late stage clinical trials. Switching CMOs at multiple stages of clinical testing may increase costs and the time to commercialization. However, CMOs specializing in early stage clinical trials may be the best fit because of flexibility and nimbleness required to quickly enter the clinical for Phase I. If there are important deadlines, such as filing and Investigational New Drug (IND) application or start of a clinical trial, sharing this information with the CMO allows them to assess if they will be able to realistically meet those deadlines. Gathering these answers can prepare you for the questions a CMO will ask as well as generate more questions that you will want to discuss during your selection process. You should provide the candidate CMOs with as much information as possible so they can evaluate if the production process is well-suited to their existing facilities and expertise or if it is outside of their capabilities. Ask the necessary questions in your first conversation so you understand early in the selection process the limitations and advantages of each CMO you interview. Step one will be a general inquiry to the CMO to determine if they have the capabilities to execute your product’s manufacturing process. If there is a potential fit, then a confidentiality agreement will need to be developed and agreed on before the sponsor and the CMO can discuss the process and any development needs in detail. Prior to scheduling a technical call, you will want to send a packet of information describing the product, the processes used in production, and the scale and timeline of production that you anticipate. Typically, the CMO’s Business Development group forwards this information to the technical staff and scientists. Expect to allow at least a week for review so they can accurately assess the scope of the project and prepare requests for additional information. During your initial discussions, the CMO will likely present you with an overview of their capabilities. Some basic information you will want to gather is whether size of the fermenters or bioreactors available meets your needs and if there is equipment available for cell harvest, protein or plasmid extraction, chromatography equipment, and aseptic vial or syringe fill-finish. What quality systems does the CMO have in place? A CMO with an appropriate on-site quality assurance (QA) group should have a quality manual that outlines their quality strategy and should be able to demonstrate they are able to handle any necessary investigations and/or resolve any deviations. If the CMO is outsourcing or contracting QA, it may take longer to release the product. How is troubleshooting handled during scale-up? For CMOs with a formal process development and/or technology transfer group, troubleshooting activities can be completed on-site. If the CMO does not have a process development or technology transfer group, the alternative is for them to take any issues back to the client to handle themselves. They may also simply proceed at risk to the customer with the potential of a failed production run. Either way, it is important to know how issues with your product will be handled. Can analytical testing be done on-site? CMOs may outsource all or some analytical testing to a third party, such as sterility, bioburden, and endotoxin, so it is essential to understand how in-house and outsourced testing strategies affect the release timeline for a product. It is also important to know if analytical development is available on-site should these methods need to be developed or optimized. The advantage of having analytical development at a CMO is that the technology transfer to their QC group will likely be a smooth transition, rather than transferring it from either another company or from your company directly. An analytical development group at the CMO can also quickly provide trouble-shooting services when they are needed.